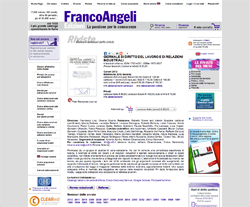 [English translation:] Giornale di Diritto del Lavoro e relazioni industriali was founded by Gino Giugni and is now edited by an international group of scholars of varying backgrounds, with a shared and long-standing experience in research. The journal is an independent publication, based on rigorous scientific criteria and was conceived, at its inception, as a peer reviewed publication. It is addressed both to the academic community and to the main players in industrial relations . The focus of “Giornale” is on the multifaceted aspects of work, whether they relate to collective labour law or to individual employment relations. Special attention is also paid to comparative and European issues, and to essays in the field of industrial relations. Summaries of past issues can be found here.